WE ARE an ONLINE OUTLET intended to help bring African stories and creative content, and culture to your screens whether your television, laptop, tablet, or mobile phone. We want to make easy for you to watch such content but we also want to protect the copyrights of the filmmakers, producers, cast, and crew who make these films, so they can make some returns and be encouraged to produce even better creative content. WE ARE OWNED BY FILMMAKERS / PRODUCERS engaged in providing and sharing African creative content to fans and all others interested in such content while providing African filmmakers and producers with encouragement and compensation for their efforts so that African (Nollywood) movies/films, documentaries, cultural dramas, and cultural events, and creative content will be honorably shared and sustained. WE CARE about the interests of the fans and want to make sure that we provide you with rich African creative content, but we also know what it costs to make a movie, so we invite you to help support the African (Nollywood) artists and producers/filmmakers in any way you can. Please avoid piracy and do not encourage the unauthorized streaming or broadcasting of creative content that robs artists of their compensation. OUR GOAL is to make quality original African movies available to you directly devoid of piracy, exploitation, or distribution of fake African movies. We are committed to working towards creating a fair and rewarding content distribution structure that benefits both the producers and the cast and crew members involved in filmmaking while making such content conveniently available to viewers from around the world. Because we reach an extensive loyal audience that returns time and again to watch content and different series we provide, this website/Channel is a good platform for you to promote your product and services, as well as your upcoming events. CONTACT US TO DISCUSS DETAILS and ways you can use out this our platform to promote your brand. 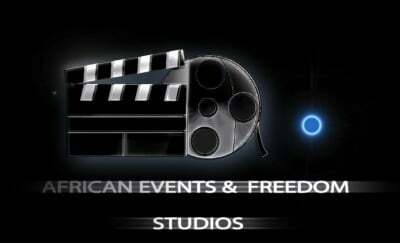 We are associated with African Events & Freedom Studios who have been making films in the USA and Nigeria for over 20 years. If you have a story that you want to share with the world as a movie/film, we can help you achieve that whether here in the USA or in Nigeria, Ghana, Kenya, etc. Your dream of becoming a film producer or staring in a movie of your own can be easily realized through working with us. As Africans who have firsthand knowledge and experience about the African situation whether in the continent or in Diaspora, we are in a good position to understand your story and how best to tell it from the African perspective without diluting the things that should make your story stand out as authentic and genuinely African. If you are interested in becoming a film producer or if you do not have the time but always wanted to produce or simply invest in movie making, we will help make that possible. Please feel free to CONTACT US so we can discuss your dream/vision and how we can help you make it manifest as a film or documentary for the big screen or for television.